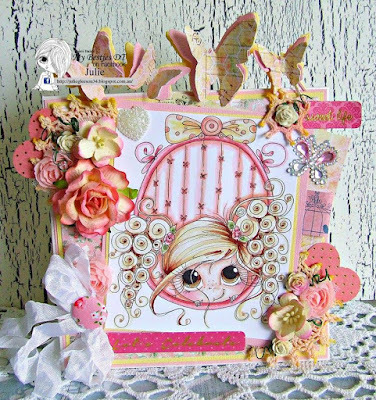 It is Antoinette here today. 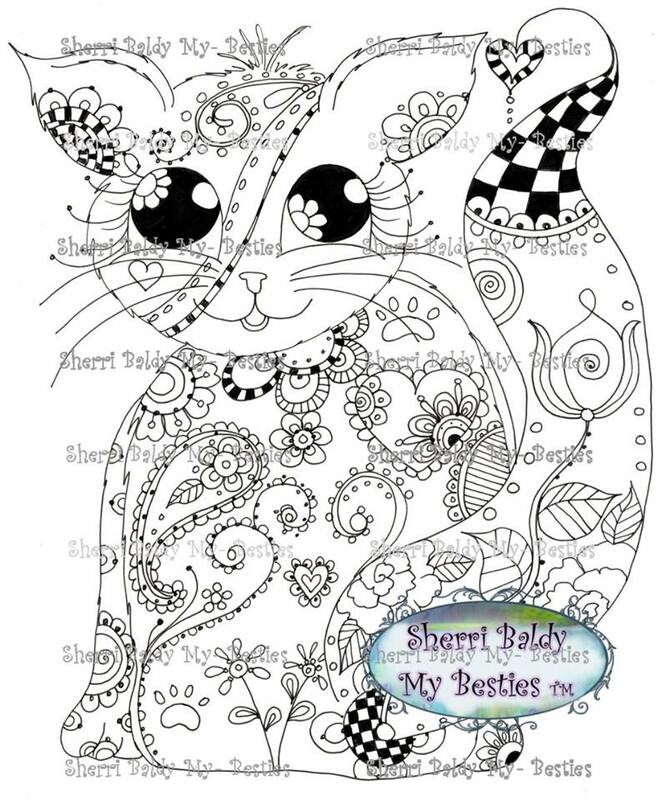 I love cats and I am loving the new My Besties Cat Ladies Collection digital images Sherri has designed for us so I am sharing with you my project with one of the new My Besties Cat Ladies digital image 869. 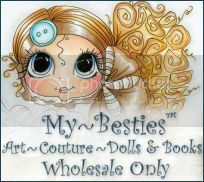 And you can find the assortment of all them in The My Besties Shop HERE. 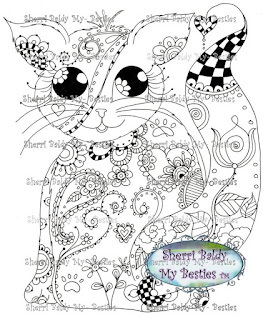 Here is a picture of the adorable "Cat Ladies" digital Img 869 colored with Spectrum Noir pens..
My Besties Love Die-cut you can find HERE in one of Sherri's Shops called My Besties. 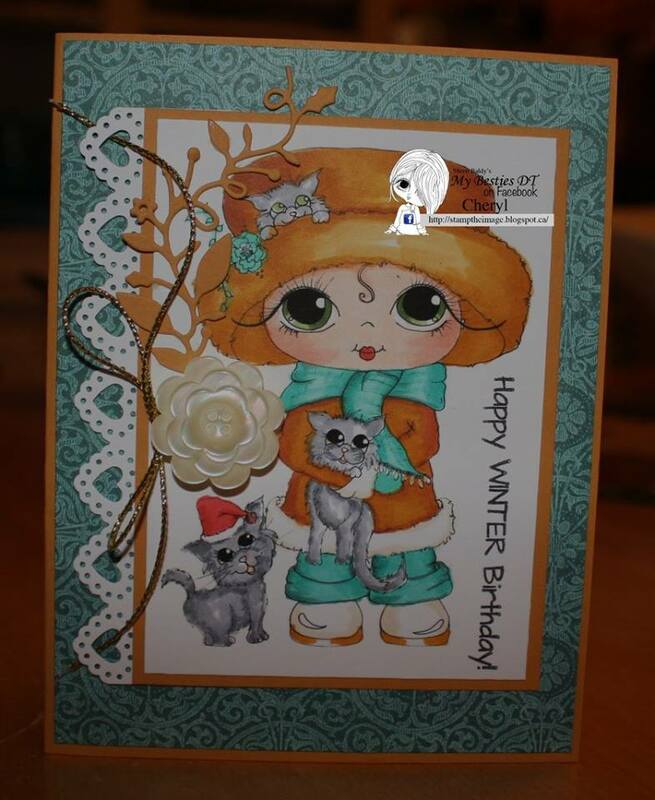 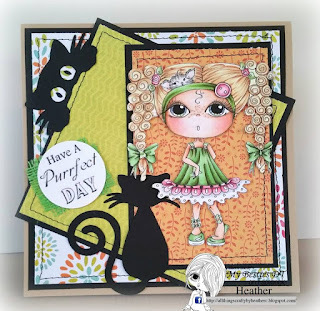 Here is my finished card designed to feature one of the new adorable and fun Cat Ladies digital Img 869. as I used several dies to feature her such as La La Land, Impression Obession and Spellbinder dies. 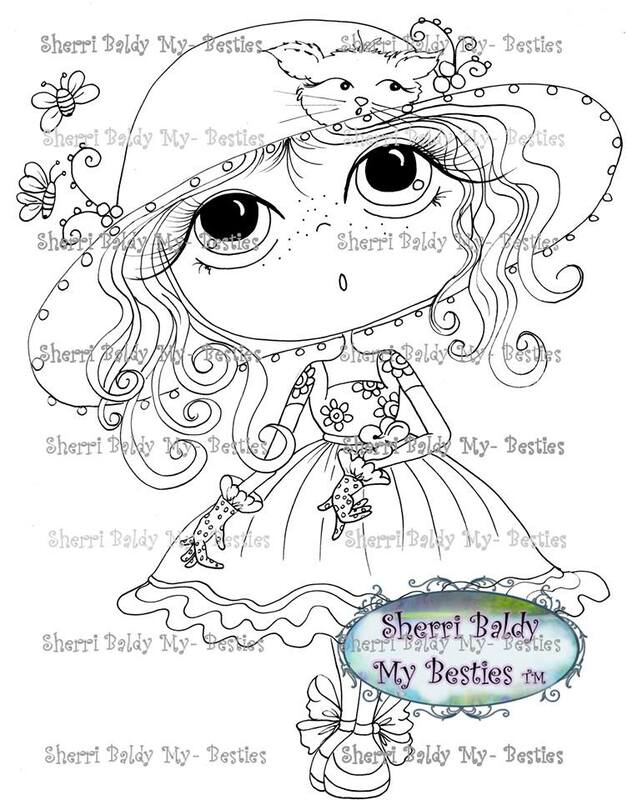 I hope to see you share your finished designed projects with My Besties images and products over at Sherri's Facebook Page: My Besties Color and Create. 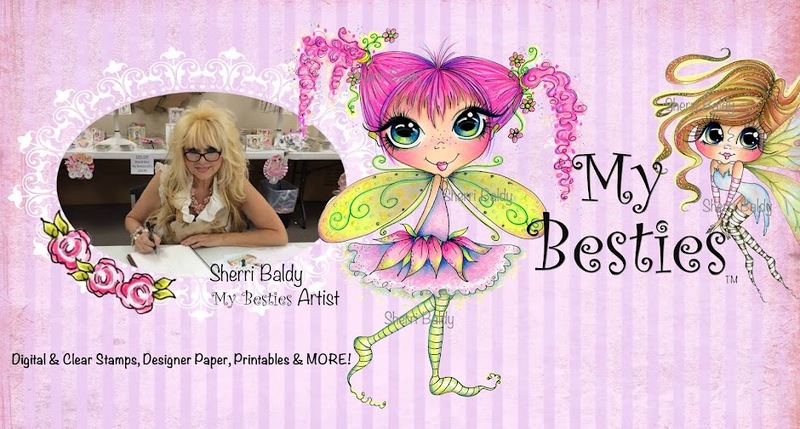 Sherri Baldy's Newest Release! "Cat Ladies"
introducing the "Cat Ladies" on National Cat Day! by some of Sherri's Talented Design Team. October is Breast Cancer Awareness month, however, our thoughts continue throughout the year! 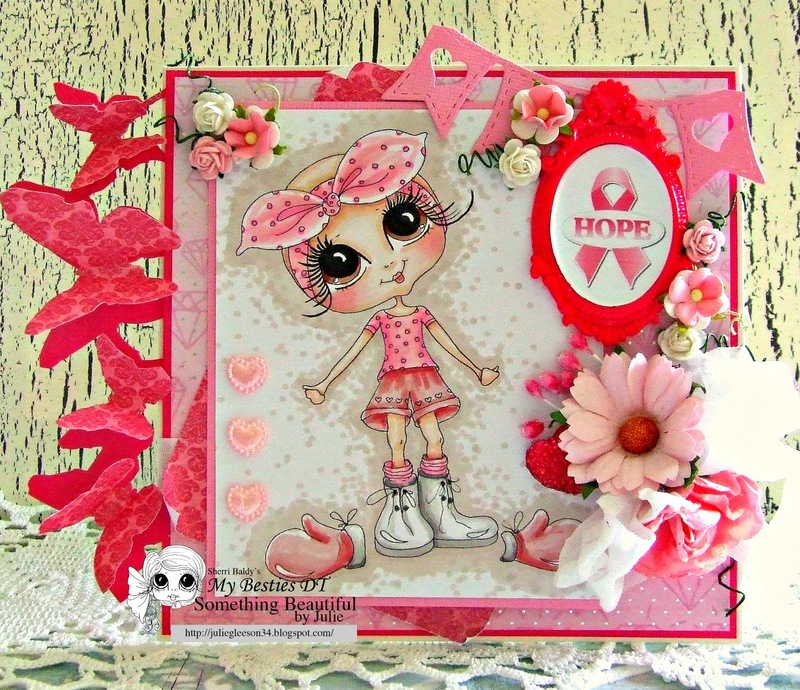 We would love to share the newest Breast Cancer Awareness Digital Image 871 created by artist, Sherri Baldy. 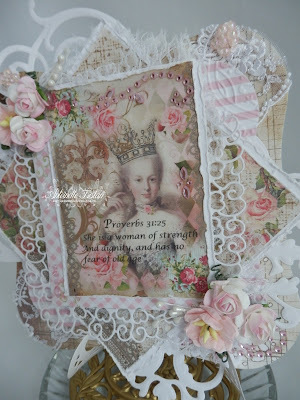 Image 871 is available by clicking here. 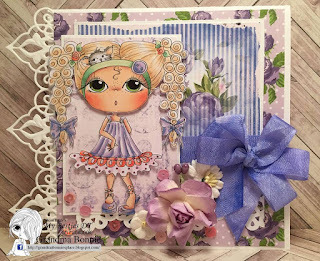 To Inspire you our Designers have created the following cards, please click on their names to check out more details about the cards on their blogs! 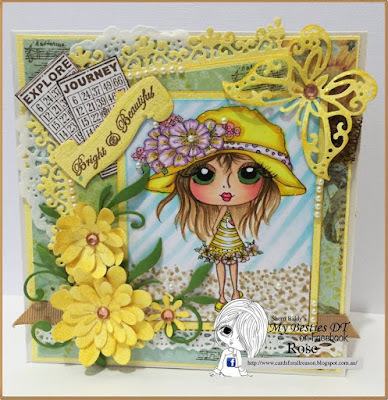 We will be back at the end of this week with Sherri's newest release or you can check out Sherri's Facebook release party on Thursday night at 4pm PST. 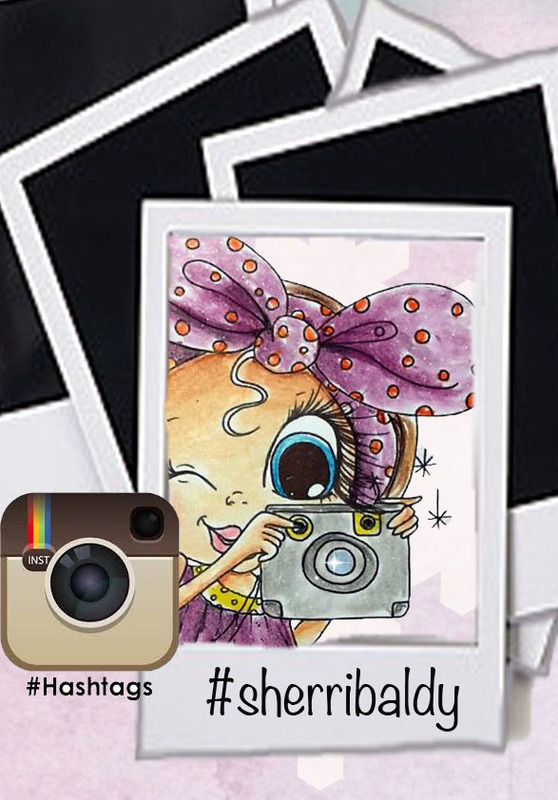 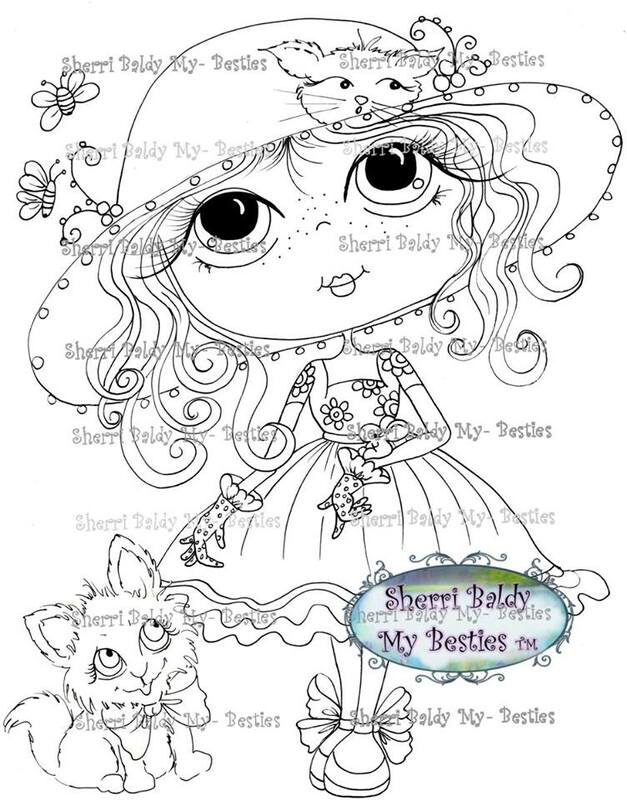 Visit Sherri's Facebook My Besties Designs Color & Create by clicking here. 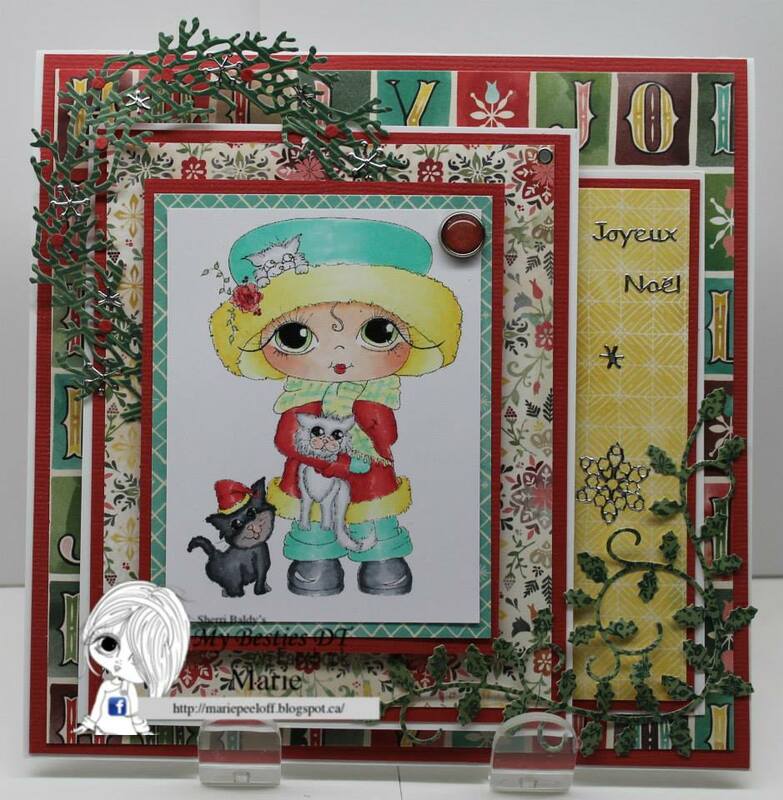 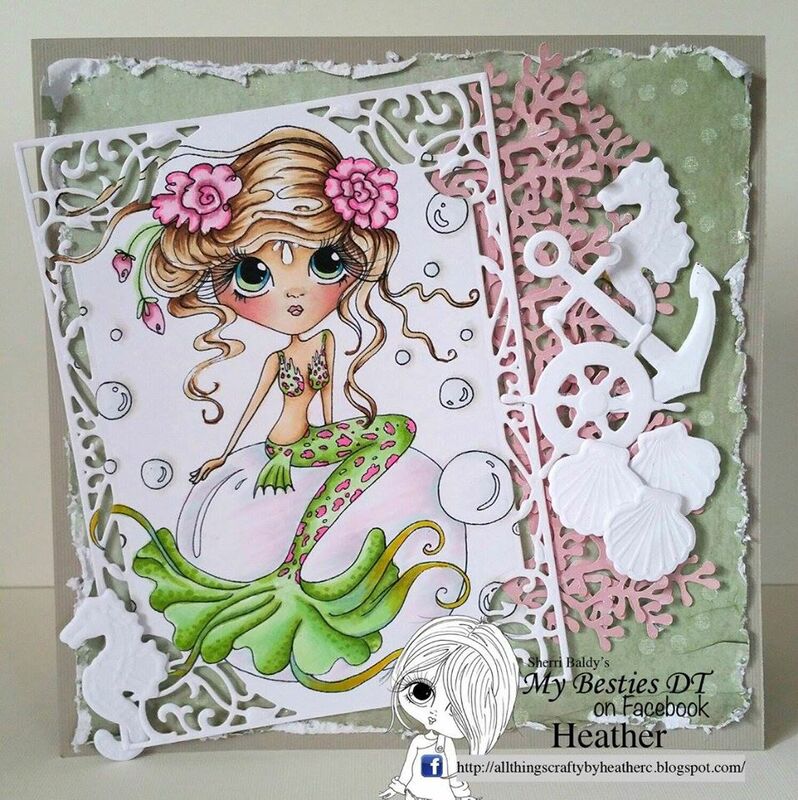 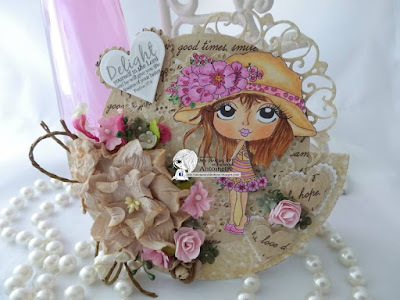 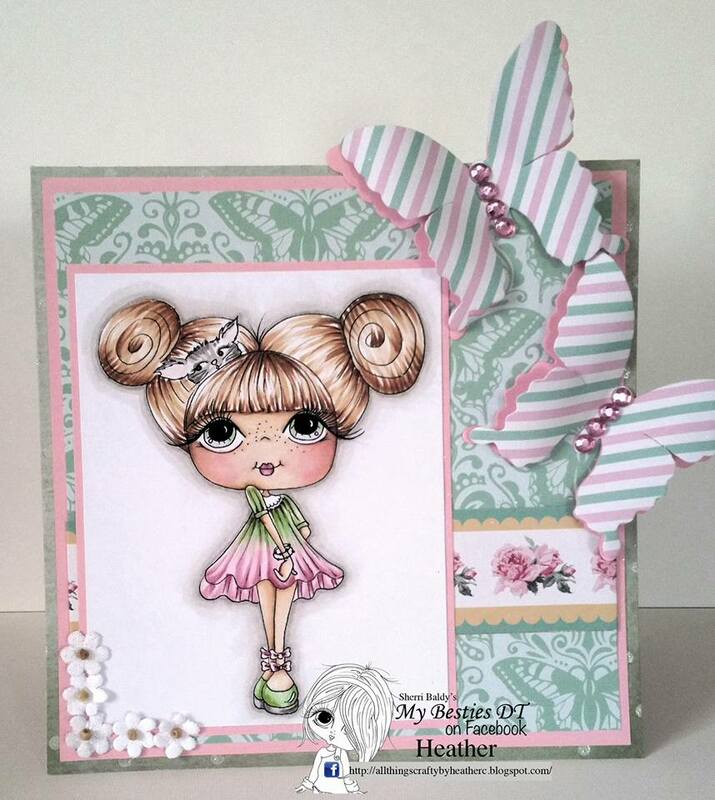 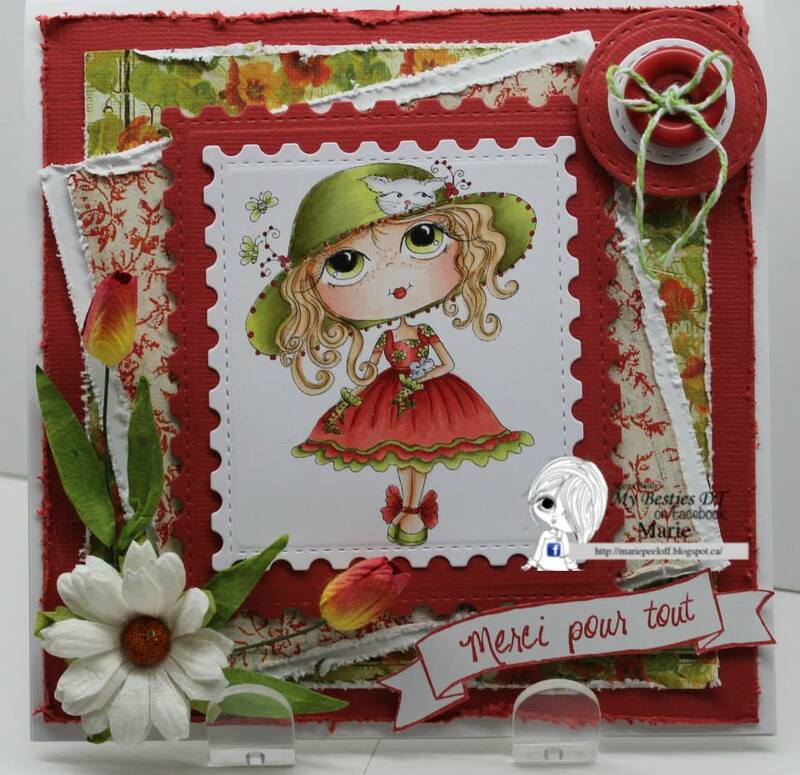 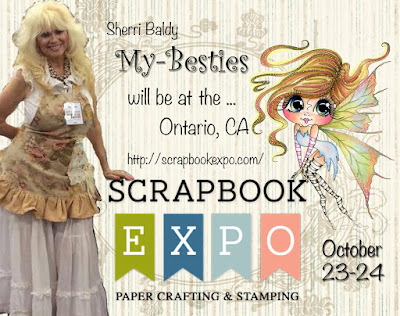 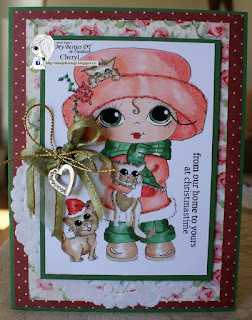 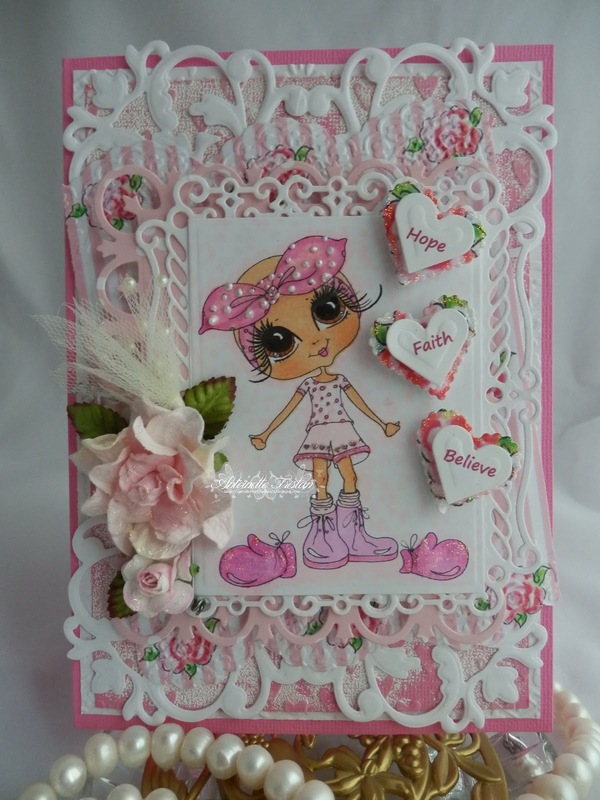 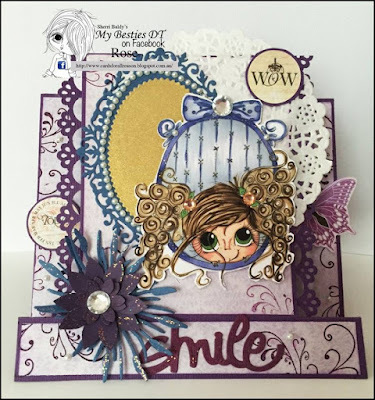 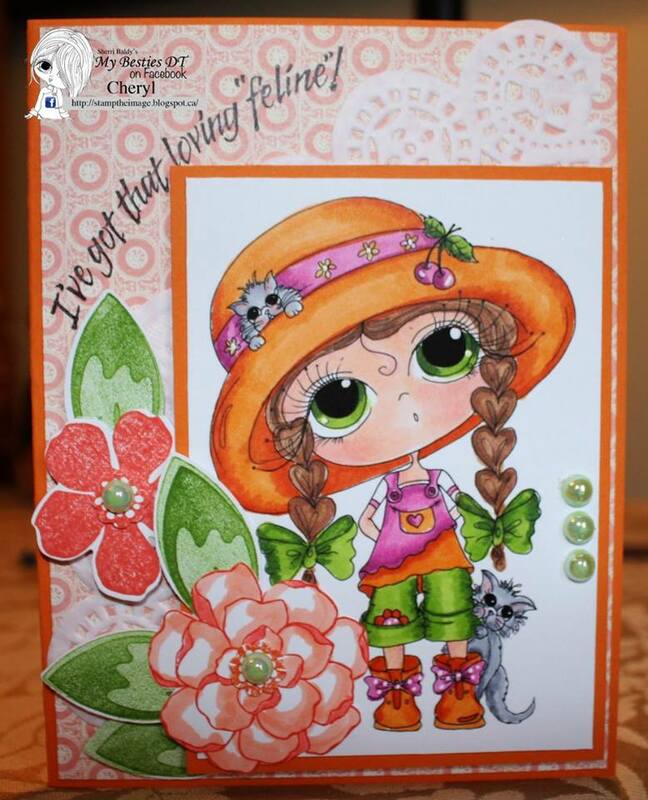 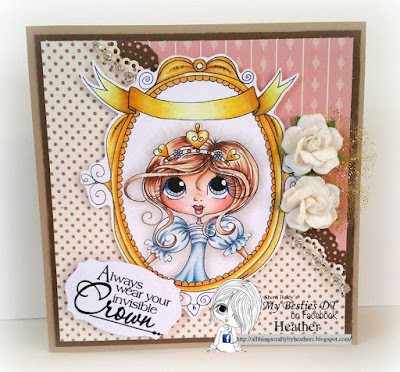 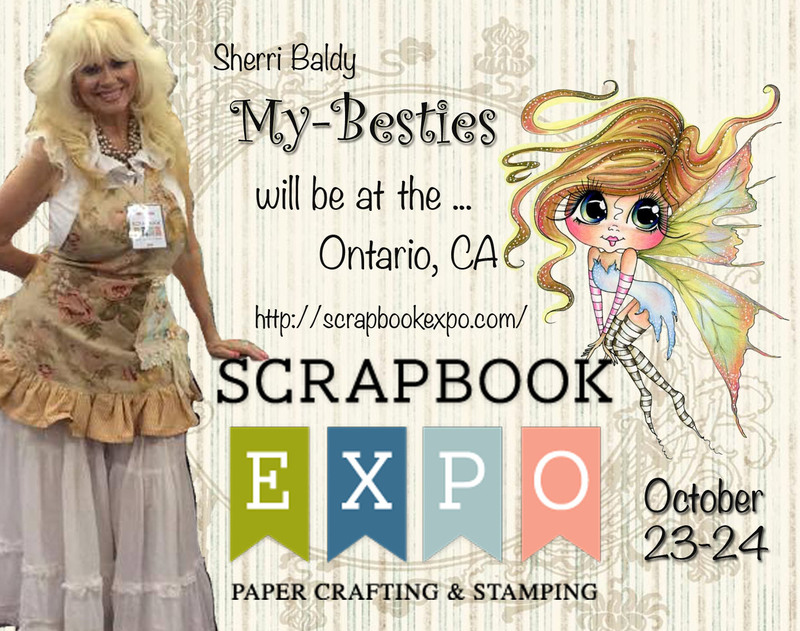 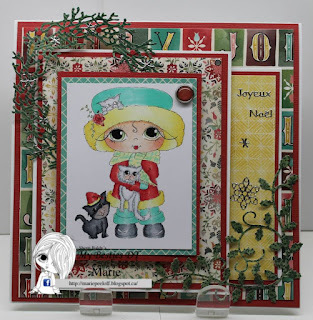 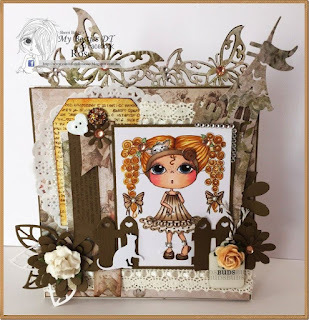 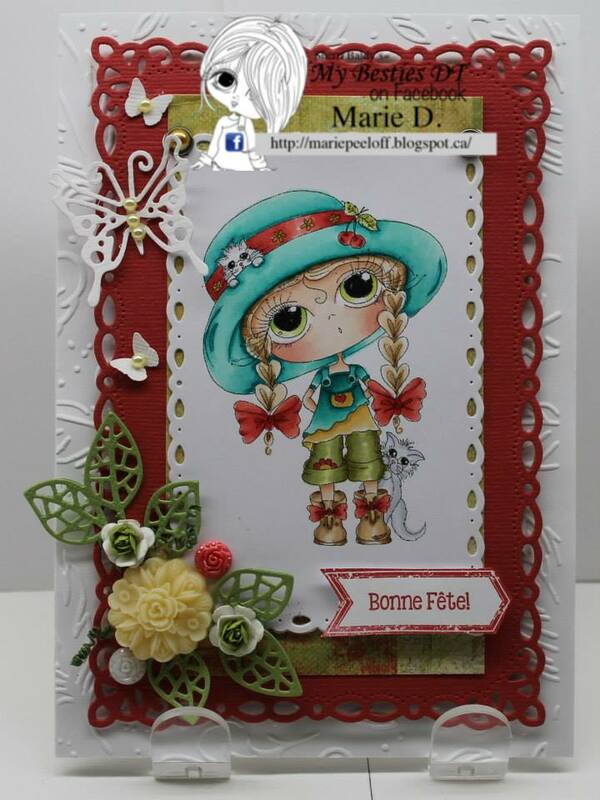 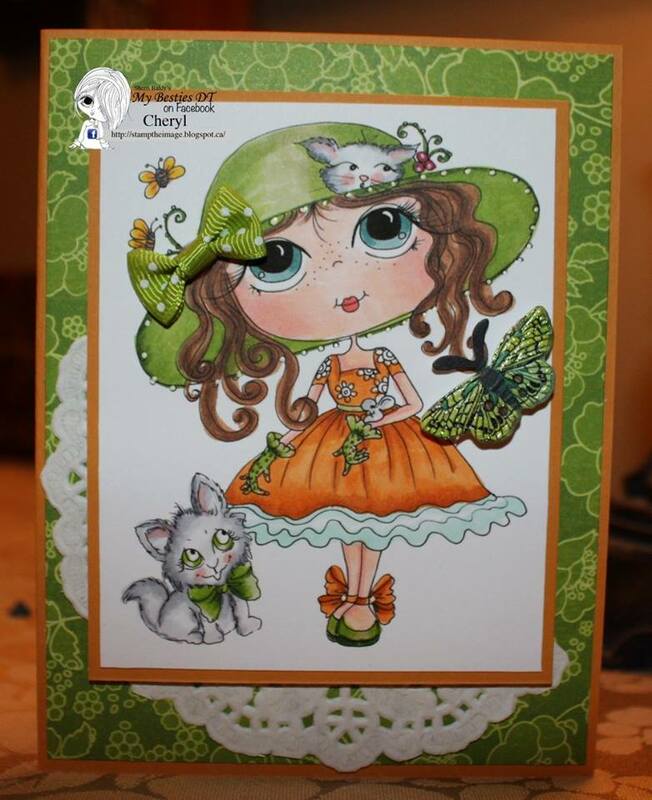 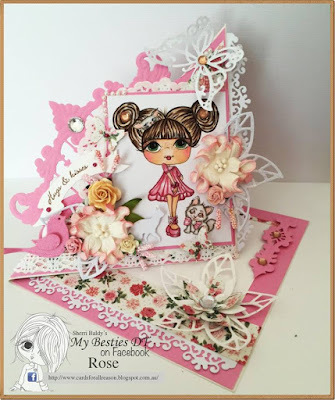 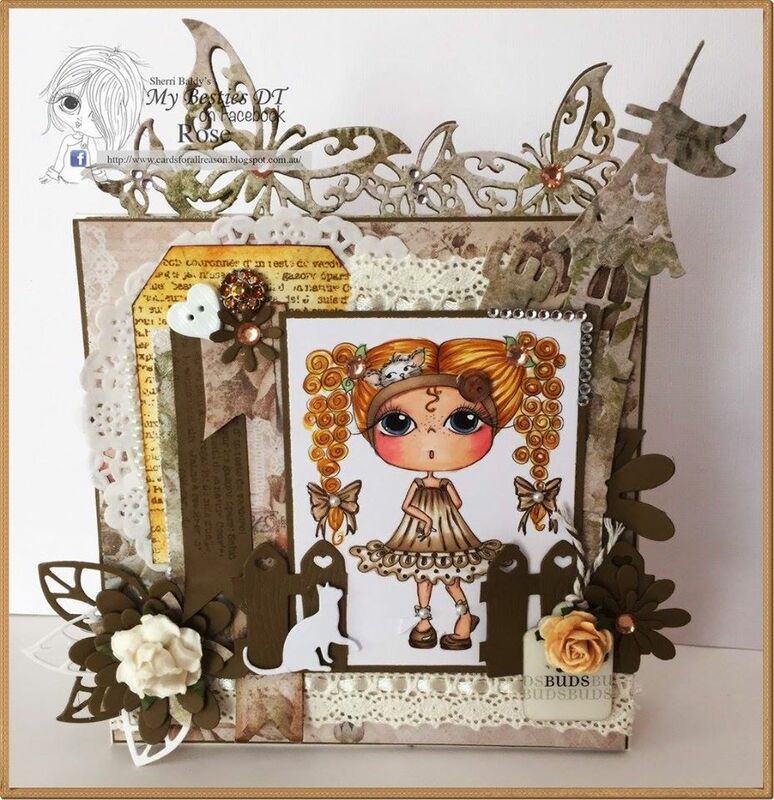 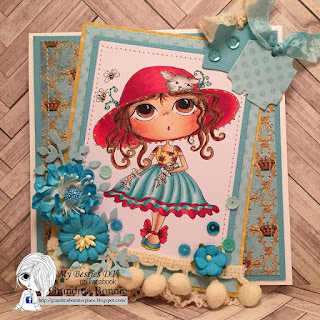 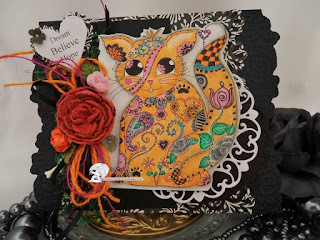 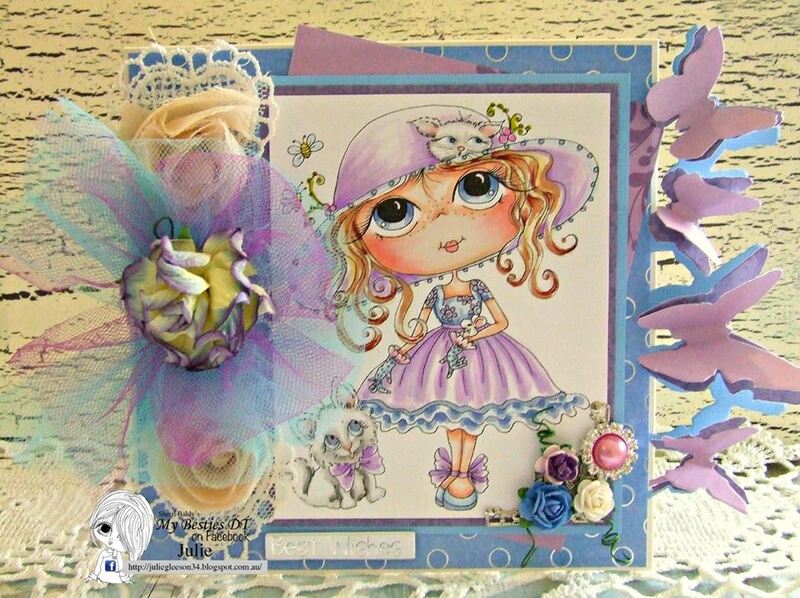 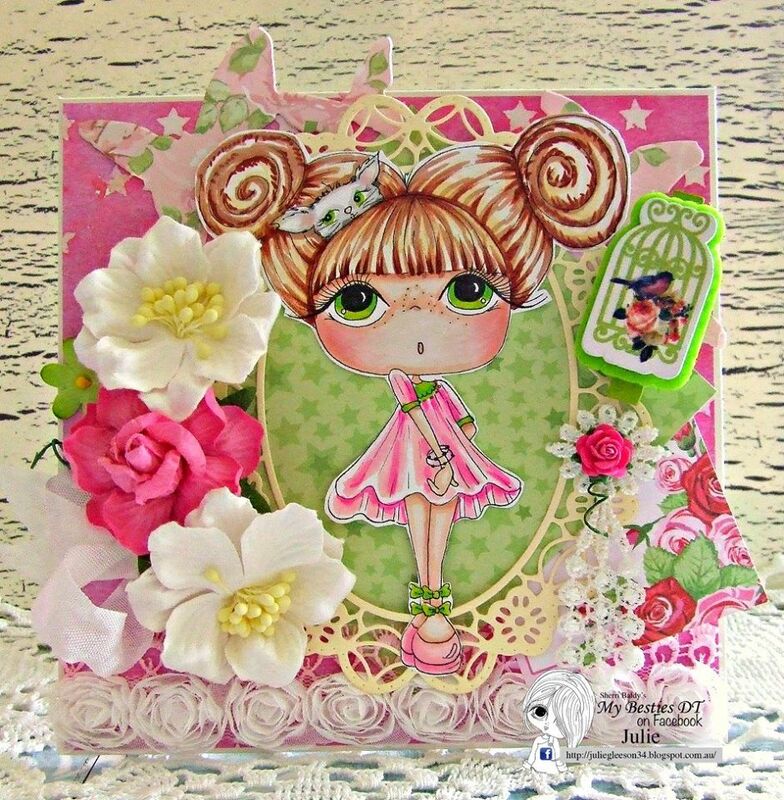 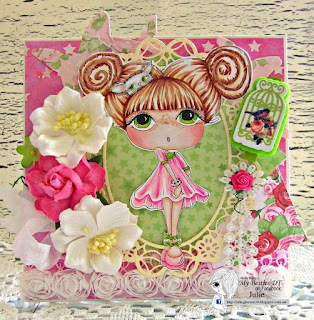 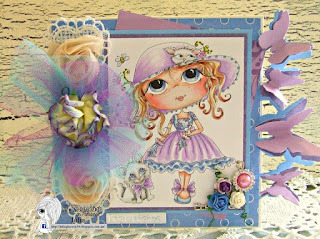 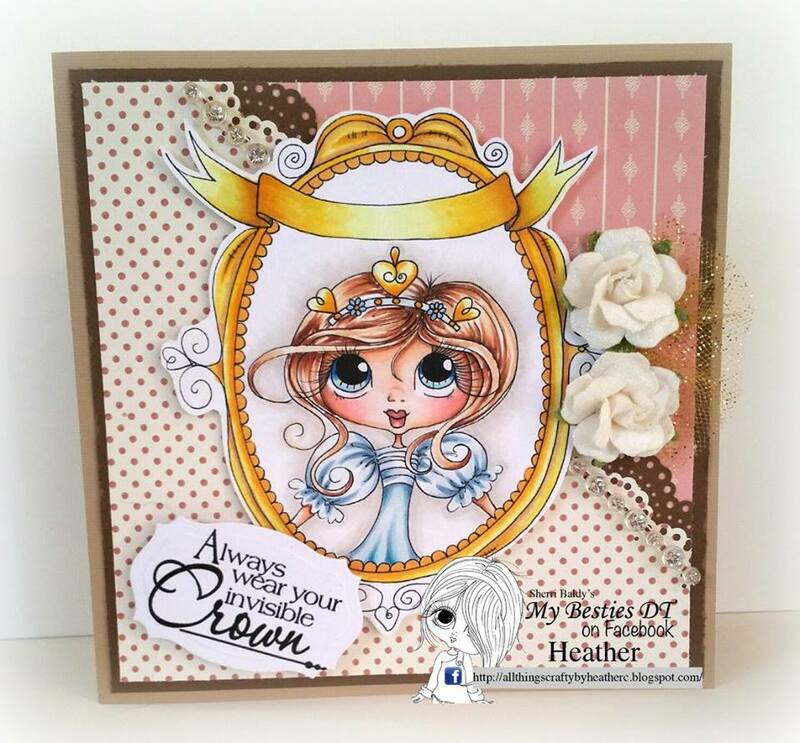 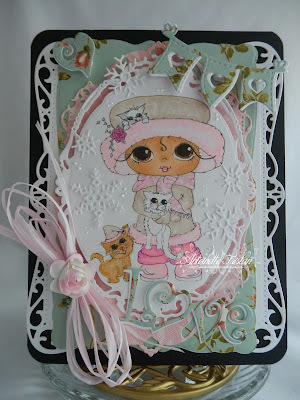 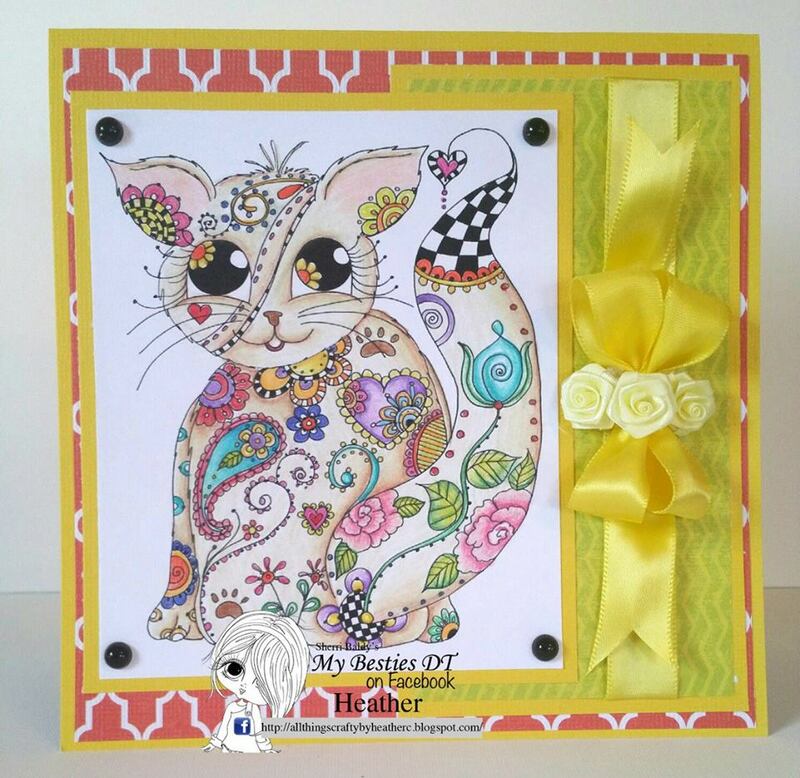 It is Antoinette here today and I am going to share with you some Vintage fun creating with Sherri Baldy's Art Design paper products. 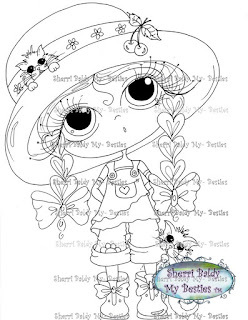 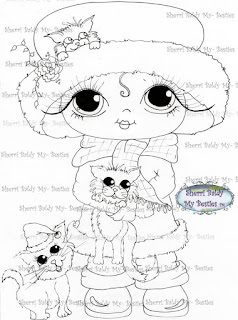 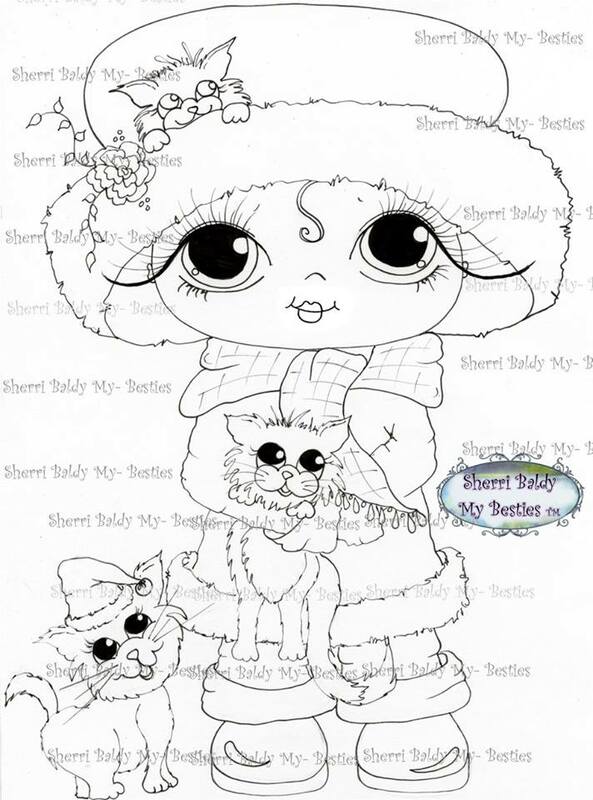 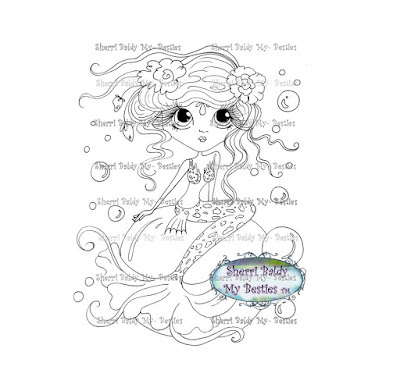 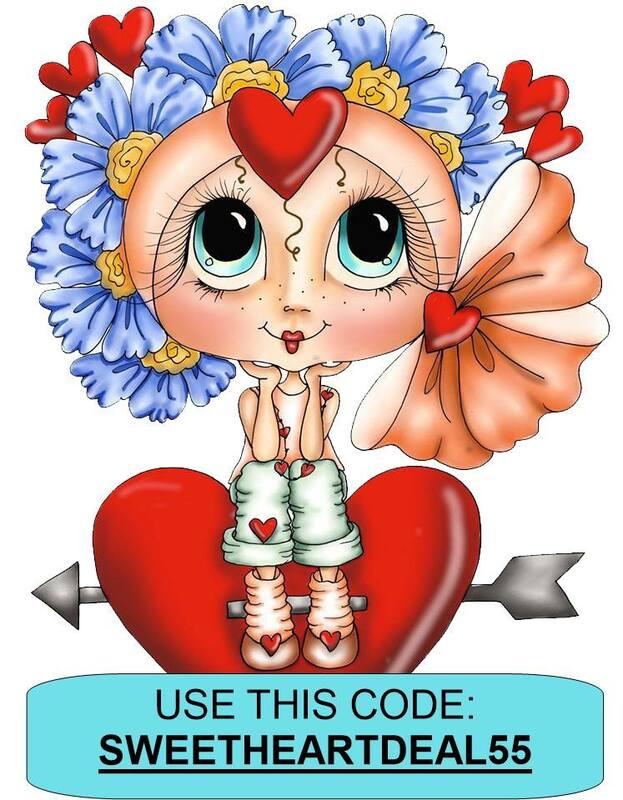 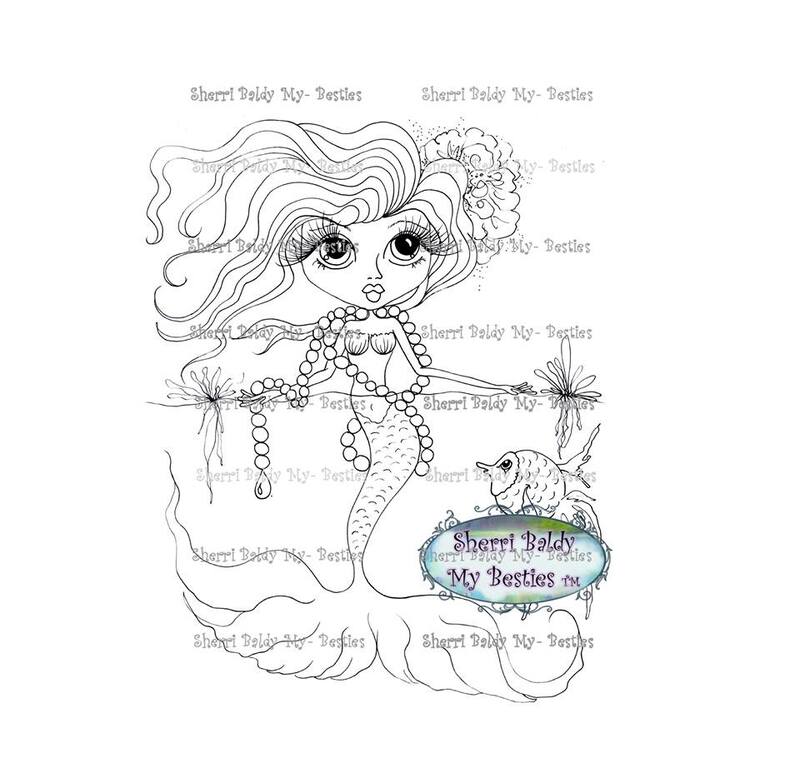 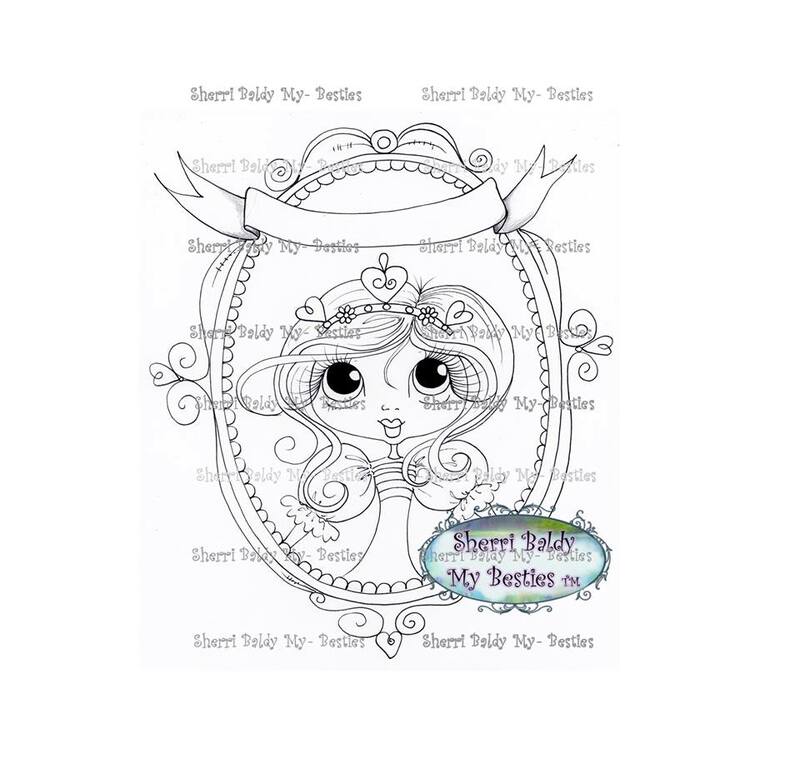 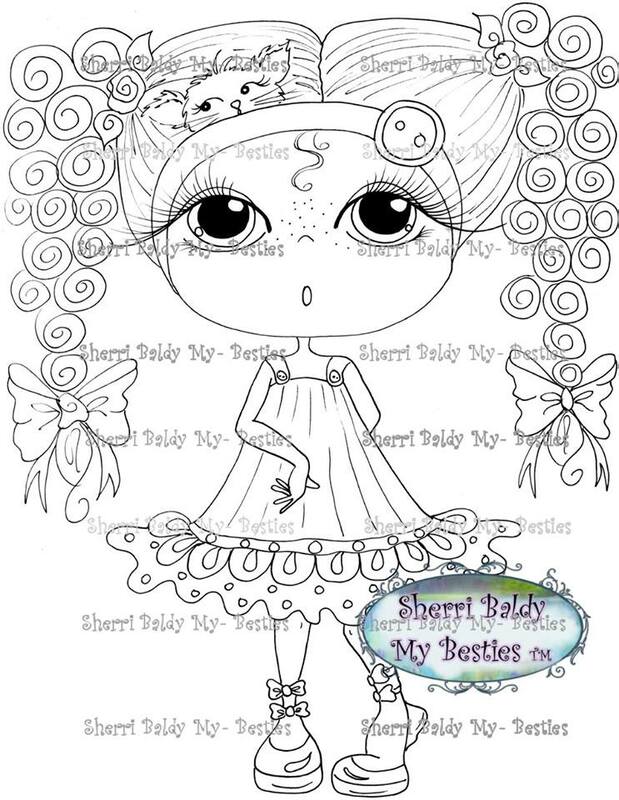 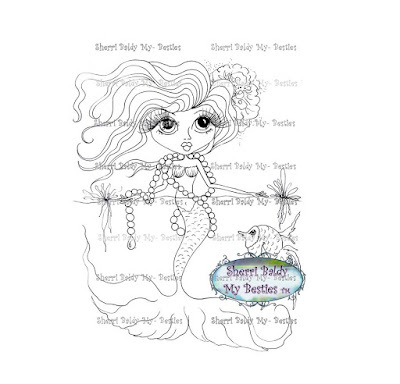 There are so many fun digital images to color I bet some of you didn't realize that Sherri Baldy has some Printable Vintage Art. 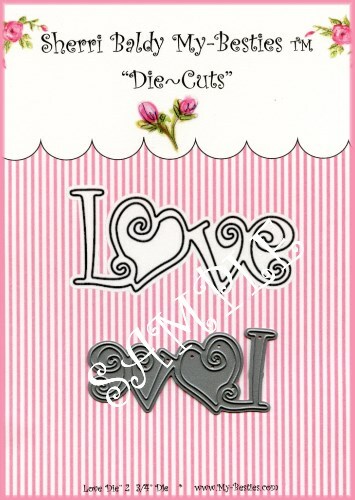 Let me start by sharing pictures and links of some of the products I am going to use for my project. 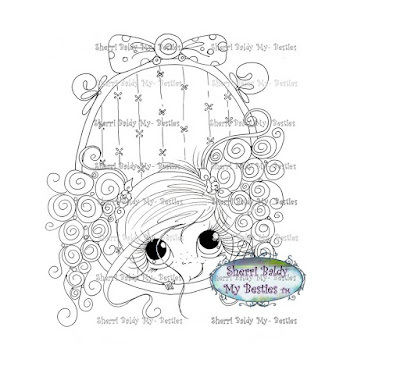 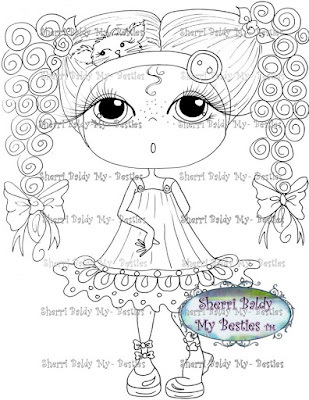 My main feature for my project is this beautiful Sherri Baldy Vintage Art Printable called 'Vintage Dress Form Blue' . 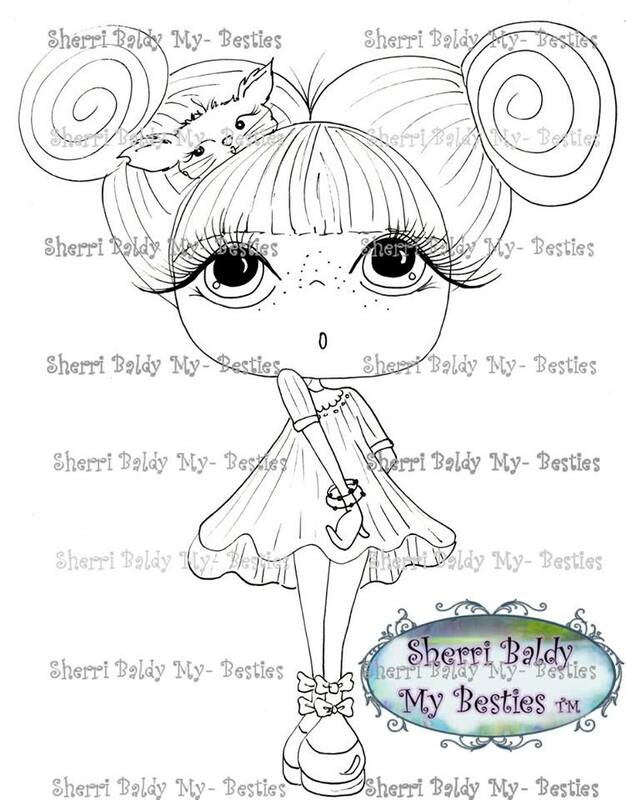 Here is a watermarked picture. 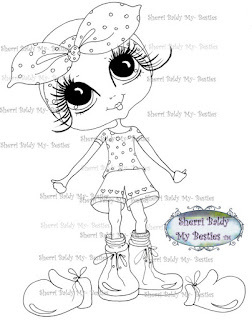 Isn't she beautiful. 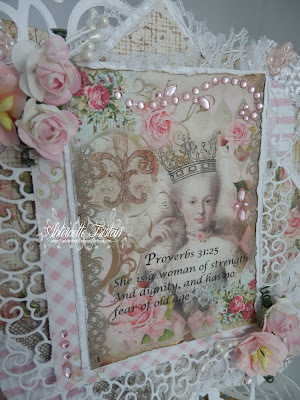 I thought she was such a beautiful image as her stance showed beauty and strength it reminded me of the Bible Scripture: Proverbs 31:25 She is a woman of strength and dignity, and has no fear of old age. I merged in the Scripture with Microsoft word. 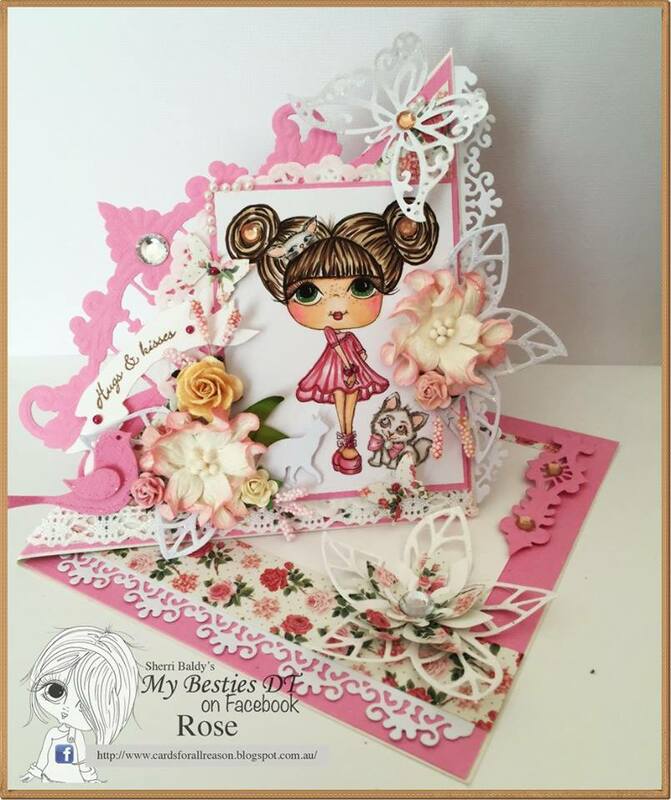 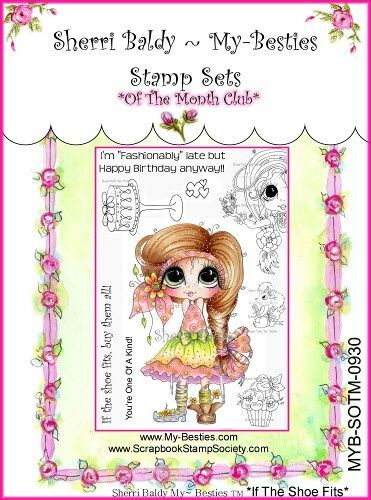 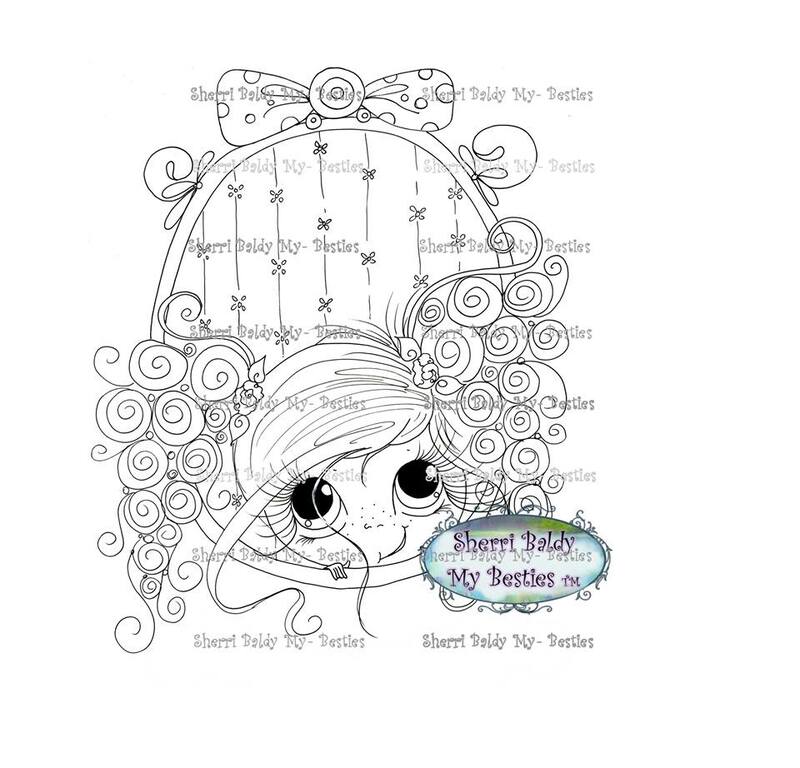 For my background layering I used a couple of pages from the Digital Printable 8 Page pack 6x6 Love Letters Besties Designer Paper which you can find here or you can also order the Paper pack for delivery here with your other purchases from the My Besties Shop. 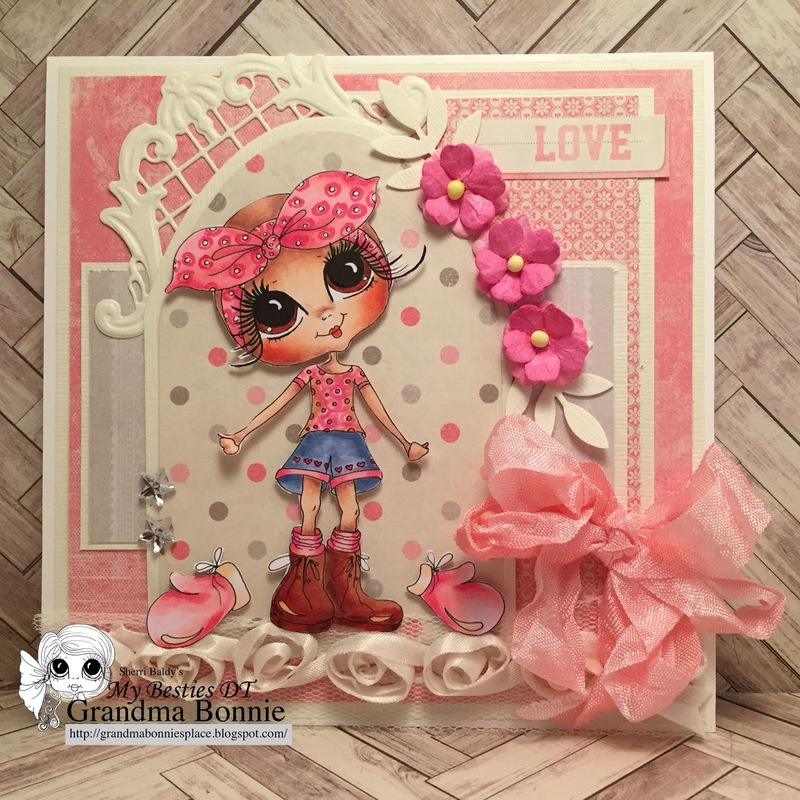 I also used and must share with you how I love that I can also use my Sherri's Design Paper I get with some of the 3D Decoupage Sheets. 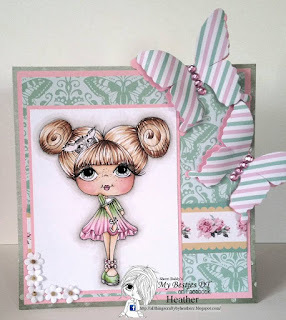 I used one of the elements from 3D Oliva Odd Socks the pink checkered design paper which you can find here so you can see all the extra elements you get with some of these 3D Sheets. I also used the pink and white design paper from the elements in Sweet Geek Girls My Besties CD Rom. 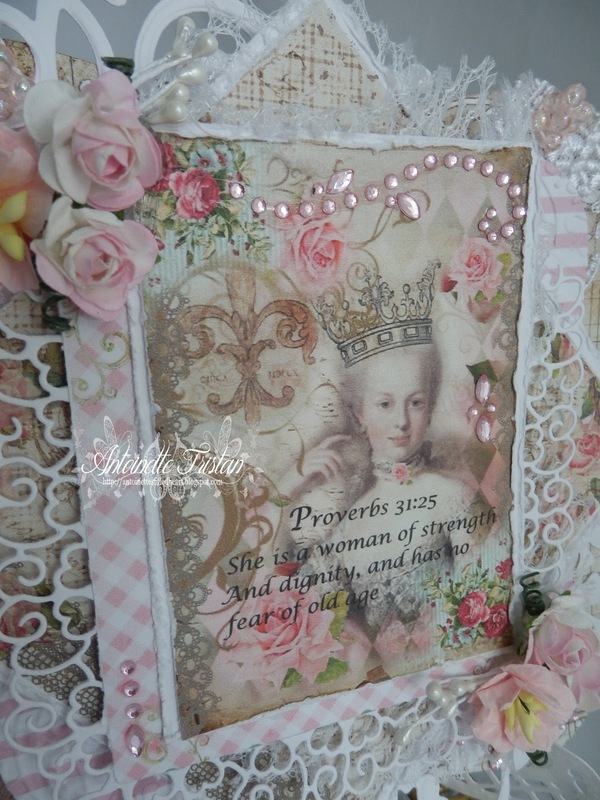 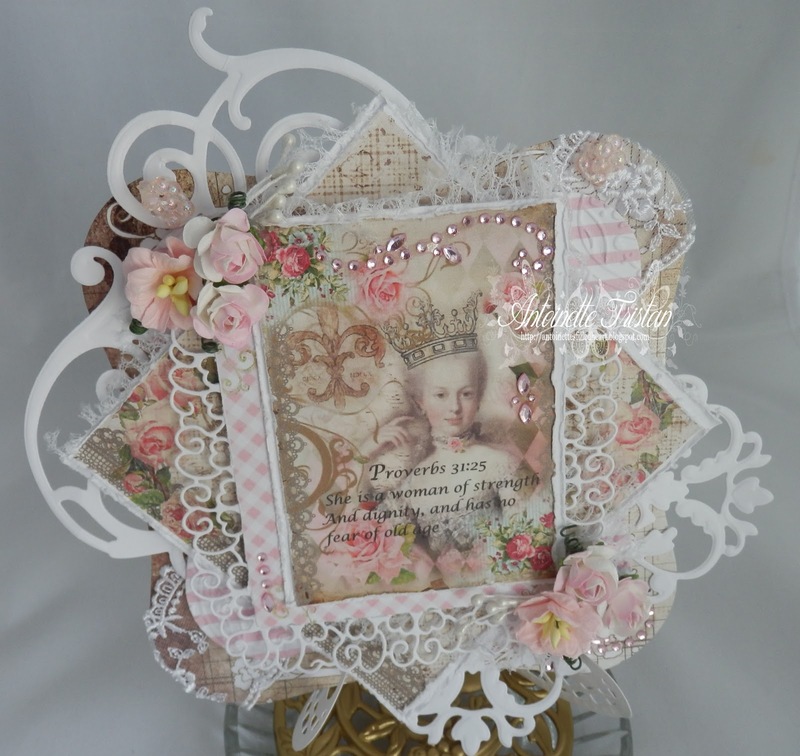 I added the sweet touch of Sherri's Paper Lace Romantic Heart Frame die you can find here to give the Vintage image a delicate feminine frame. 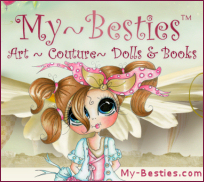 My Besties Mini Release Party Today! 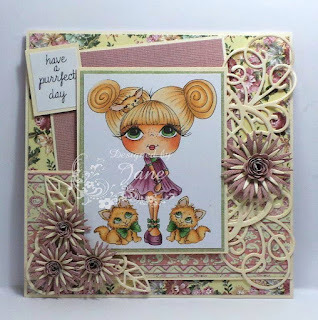 For a Special My Besties Mini Release! 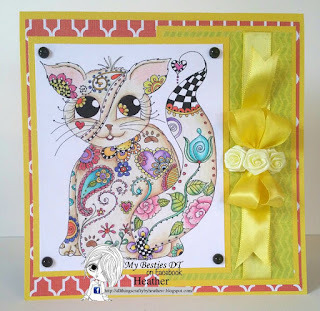 and some stunning examples for inspiration by some of Sherri's Talented Design Team.